Thu., Oct. 27, 2016, 6:30 a.m.
Base Lodge Elevation: 3,923 ft. Skill levels: Beginner: 30 percent; Intermediate: 40 percent; Advanced: 25; Expert: 5 percent. In the past decade 49 Degrees North has increased its skiable acreage by nearly 50 percent by expanding to Sunrise Basin to the east and Angel Peak to the west. 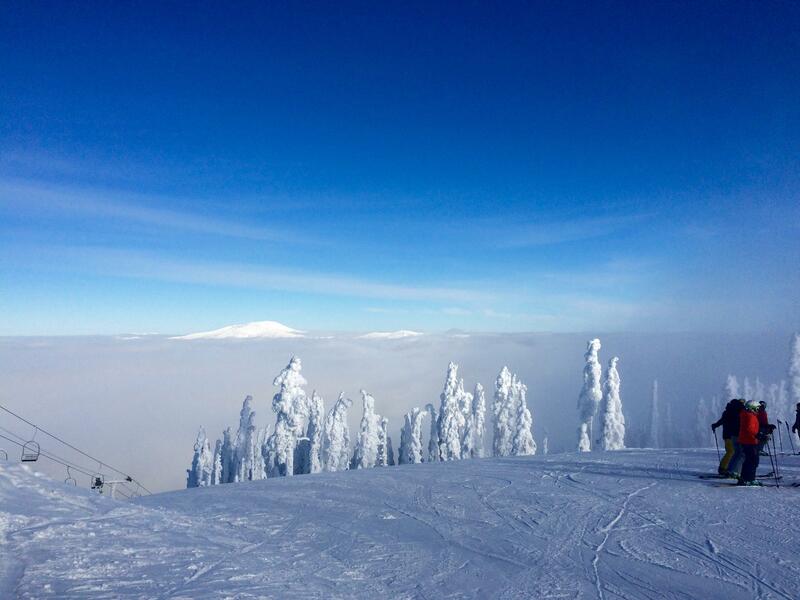 The resort competes neck and neck with Crystal Mountain in the Cascades for the title of largest ski area in Washington state. Technically, Crystal has the edge, claiming 2,600 acres of skiable area. But looking at lift-serviced terrain, 49 Degrees North is slightly out in front with 2,325 acres, compared to 2,300 at Crystal Mountain. One indisputable thing Crystal has that 49 Degrees North doesn’t is the big crowd. While Crystal Mountain swarms like an anthill on weekends, 49 Degrees North retains a mom and pop vibe – for now. Over the past few years, mountain ownership has been developing the infrastructure for a $500 million master planned community in the base area of Sunrise Basin. The changes are starting to become evident. A mile and a half of Nelson Creek Road, which provides vehicle access to Sunrise Basin, has been paved. The first of several “ski-under” bridges providing access to the planned community has been built. Amenities continue to be added in the base area. Most skiers and riders around here don’t have a problem with the current ambiance. But they can rest assured that resort real estate development can’t change the variety offered by three basins, outstanding tree skiing and wide, long cruisers that make 49 Degrees North a local favorite. It’s likely they will accept and enjoy the new amenities emerging in the Sunrise Basin base area this season. For now, slopeside parking is free back there and lift tickets are available. Three permanent unisex bathrooms have been built. A food and beverage yurt offers burgers, hot dogs, soups and sushi. Cold beer will be on tap. Once they get to the summit, people tend to ski down only as far as Midway on the north aspect of the mountain to avoid repeating the long, slow ride on Chair One. Eliminating that inconvenience is reason enough to get there early for a parking spot in Sunrise Basin. If La Nina’s promise of an ample snowfall holds true, the skiing and riding in the wealth of perfectly spaced glades at 49 Degrees North could be as good as it gets this winter. A higher quality of corduroy on the mountain’s long cruisers could also be expected, thanks to the resort’s half-million dollar investment in a new pair of Pisten Bully snowcats. With the coming of spring, Hobby expects the transformation of the resort to accelerate. Published: Oct. 27, 2016, 6:30 a.m.